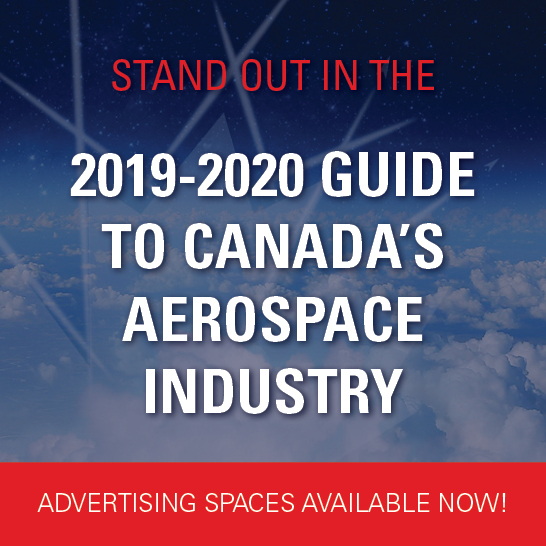 Each month in our newsletter, we include notable Parliament Hill staffing changes for files and Ministerial offices whose work impacts the aerospace industry. Information on staff changes is sourced from The Hill Times. Minister Carla Qualtrough (Minister of Public Services and Procurement) – Director of Operations, Shaun Govender. Shaun Govender has moved into the office of Public Services and Procurement Minister Carla Qualtrough, where he will be serving as the Director of Policy. Mr. Govender had previously been working as special assistant for western regional affairs and regional economic development to ISED Minister Navdeep Bains. Prior to his work in Minister Bains’ office, Mr. Govender had been serving as executive director of the B.C. Liberal Party, and had also worked as the director of operations and outreach of the B.C. Liberals. Minister Chrystia Freeland (Foreign Affairs) – Parliamentary Secretary Assistant to Andrew Leslie, Brett Aylward. Mr. Brett Aylward has joined the office of Minister Freeland as assistant to Parliamentary Secretary Andrew Leslie. Mr. Aylward had previously worked as a public relations consultant with Fleishman Hillard, and prior to that, had worked as an access to information and privacy analyst with the Privy Council Office. Minister Bill Morneau (Finance) – Director of Operations, Sharan Kaur. Sharan Kaur has joined the office of Finance Minister Bill Morneau as the director of operations. Ms. Kaur has been a political aide in Minister Morneau’s office since 2015, most recently as the senior manager of operations. She had also worked on Minister Morneau’s 2015 election campaign. Ms. Kaur had also worked as an Ontario Liberal staffer, an external communications specialist with TransCanada, and as a special assistant at the City of Toronto in the offices of the TTC Chair and the city’s budget chief. Minister Harjit Sajjan (National Defence) – Director of Policy, Elliot Hughes. Elliot Hughes has joined the office of the Minister of National Defence as the director of policy, replacing James Cudmore. Mr. Hughes had previously been working as the deputy director of policy in the office of Finance Minister Bill Morneau, having started in the office as a senior policy advisor in 2015. Prior to that, Mr. Hughes had worked as manager of public affairs at the Canadian Institute of Actuaries, as a manager at Lloyds Banking Group, and as an external relations coordinator with the Micronutrient Initiative. Mr. Hughes had also spent time as an Ontario Liberal staffer in the Liberal caucus services office and had in 2006 served as co-campaign manager of former Liberal MP Martha Hall Findlay’s leadership campaign. Following the victory of Stephane Dion in the leadership race, Mr. Hughes joined Mr. Dion’s team as the Ontario regional affairs adviser in the office of the leader of the official opposition. Minister Bardish Chagger (Small Business and Tourism) – Director of Communications, Sandra Aubé. Sandra Aubé has joined the office of the Minister of Small Business and Tourism Bardish Chagger as the director of communication. Ms. Aubé had previously been working as an issues adviser in the Prime Minister’s Office. She has also held the position of issues manager for strategic communications to Canadian Heritage Minister Mélanie Joly, and has worked as a journalist with Radio-Canada, a senior communications adviser for the Association Québecoise des centres de la petite enfance, and as a senior adviser to the chief of staff and communications director at the Centre hospitalier de l’Université du Quebec à Montreal. Prime Minister Justin Trudeau – Policy Adviser, Rick Theis. Rick Theis has joined the Prime Minister’s Office as a new policy adviser. Prior to moving to the PMO, Mr. Theis had been working in the office of Crown-Indigenous Relations and Northern Affairs Minister Carolyn Bennett as chief of staff. Mr. Theis has also served as issues manager for the Liberal Party during the 2015 election and in the Liberal leader’s office in the previous Parliament, and as a policy adviser to then-interim Liberal leaders Bob Rae and Michael Ignatieff. Prime Minister Justin Trudeau – Press Secretary, Matt Pascuzzo. Matt Pascuzzo has joined the Prime Minister’s Office as a press secretary. Prior to joining the PMO, Mr. Paszucco had been serving as press secretary to the Minister of Employment, Workforce Development, and Labour Patty Hajdu. He has also worked as a news reporter with Acadia Broadcasting in Thunder Bay.